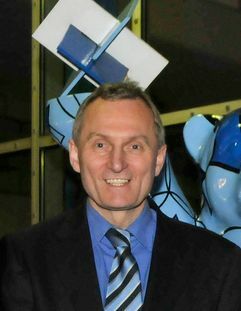 Prof. Dr. Volker Mehrmann was awarded this year's "W.T. and Idalia Reid Prize" by the Society for Industrial and Applied Mathematics (SIAM) for his outstanding research in the field of numerical mathematics, in particular numerical linear algebra. He is one of the 16 award-winning scientists who received the award for their exemplary research in the field of applied mathematics in Portland (Oregon, USA) on July 10, 2018. Established by Idalia Reid in honour of her husband W. T. Reid and first awarded in 1994, the "W. T. and Idalia Reid Prize" in Mathematics is awarded annually to a scientist working in the fields of differential equations and control theory.